Automation of the pallet handling line and integration into the WMS of the Client. 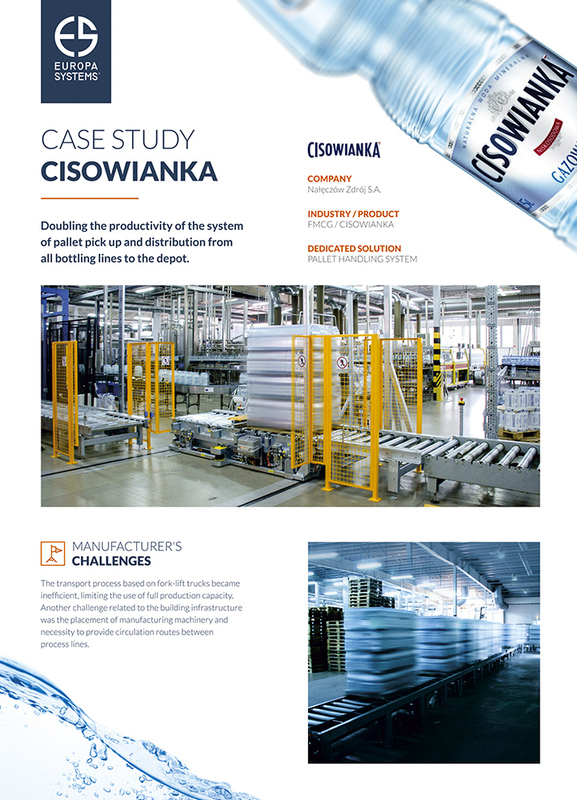 One of the leading producers of mineral water in Poland launched additional production lines. 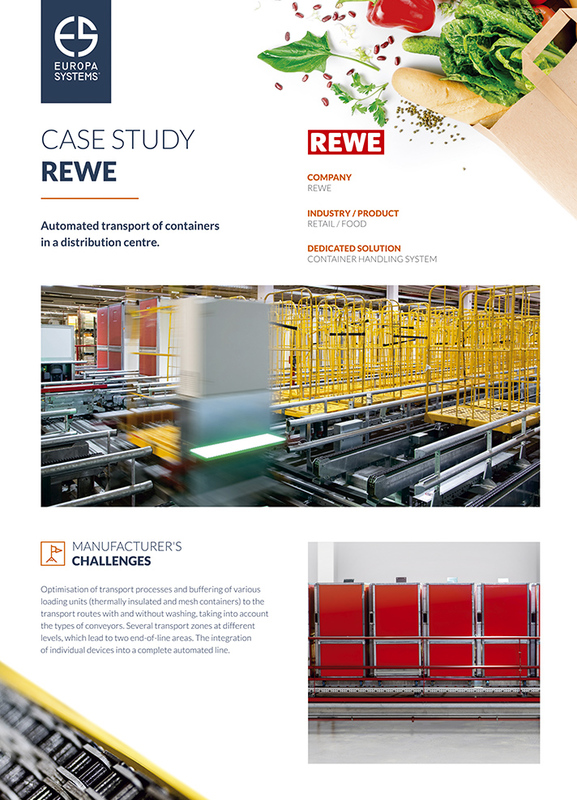 The increase in the production capacity resulted in a bottleneck in the system of collection and transporting of loaded pallets to the warehouse. The forklift transport system has become inefficient and made it impossible to take full advantage of the new production capacity. 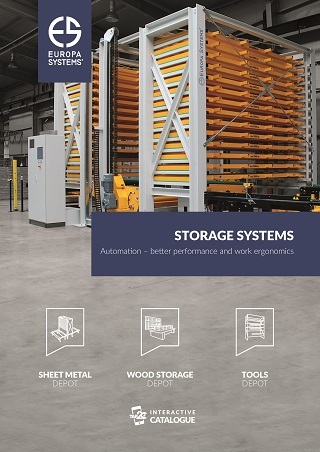 Europa Systems have designed, manufactured, and implemented a fully automated system of collection and transport of loaded pallets to the warehouse, integrated into the WMS of the Client. The system, which supports all bottling lines, comprises more than 100 devices whose total transport length exceeds 230 m. At the crossing points of the transport line with the passageways, transport trucks have been installed. 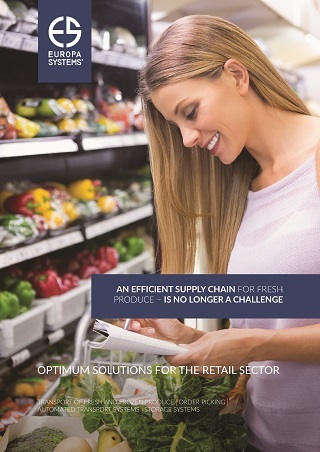 Our client, a leader in chain retail trade in Europe, has decided to improve its logistic processes in its distribution centres. A strategic decision has been taken to change the existing method of transporting products into a fully automated system. Europa Systems has designed, manufactured, and implemented in the distribution centre a multi-level, automatic system for transporting containers. 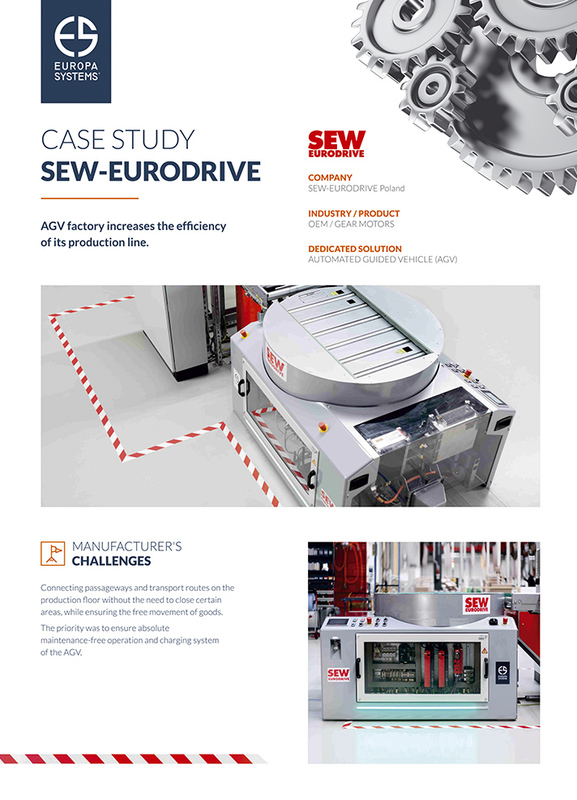 SEW-EURODRIVE is the world's largest manufacturer of drive technology in 51 countries. 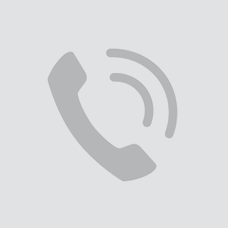 The Polish branch was established 20 years ago - in 1996, with its registered office and assembly plant located in Łódź. SEW-EURODRIVE Polska is working on more than 100 people, producing nearly 2,000 geared motors and more than 270 inverters per month. Europa Systems has designed, manufactured and implemented SEW-Eurodrive geared motors, fully automatic and integrated into the AGV - Automated Guided Vehicle.